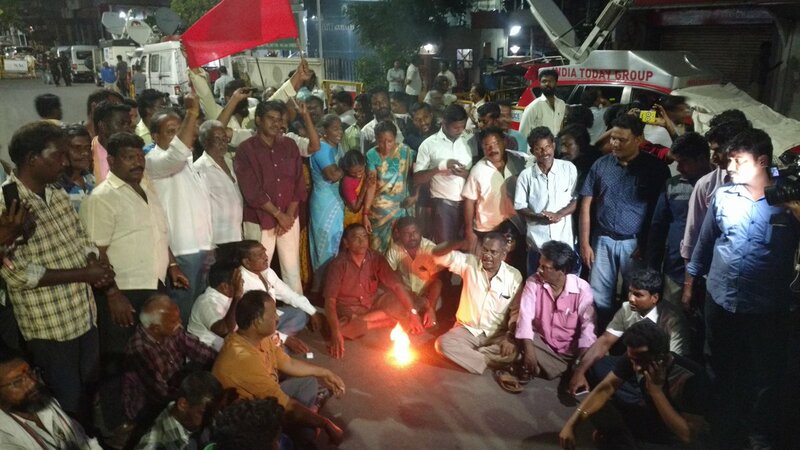 DMK chief M Karunanidhi had been admitted in Chennai's Cauvery hospital last week, and it has been 10 days since he has been admitted, and many leaders like CM Edappadi Palanisamy, deputy CM O Panneerselvam, Congress president Rahul Gandhi, besides actors like Thala Ajith, Superstar Rajnikanth, Kamal Haasan had visited the leader at the hospital besides enquiring about his health to Stalin and Azhagiri. Today, the senior politician's health deteriorated further as per the latest press release is given by Kauvery Hospital, and it has been announced that he will be monitored constantly for 24 hours to analyze his health condition, as his vital signs are impacted due to age-related ailments. 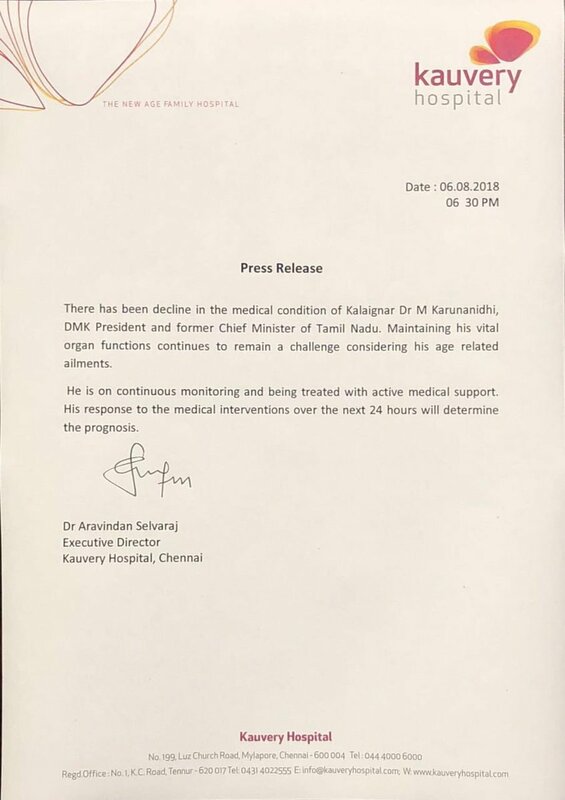 Kauvery Hospital announced that the Organ functions continues to remain a challenge due to Karunanidhi's age related ailments. The doctors are monitoring his health continuous and he is treated with active medical support. However, teh doctors said they can say only after 24 hours of prognosis.